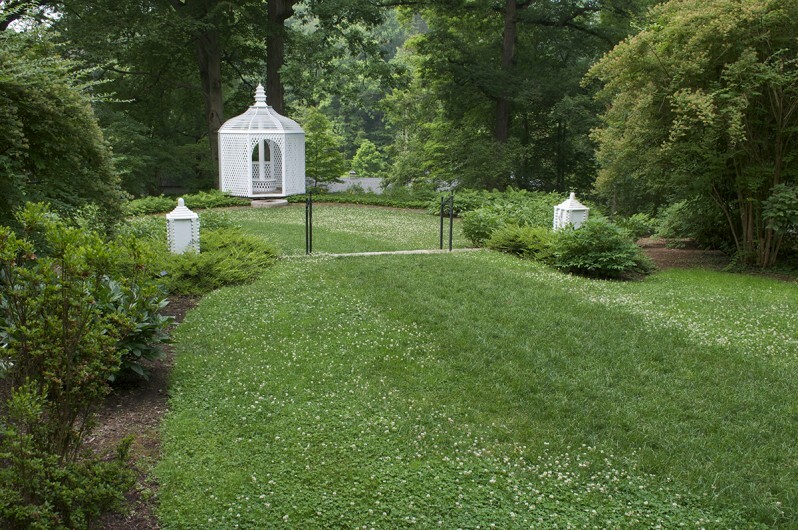 I’ve been working with the Winterthur Garden’s staff since 2001 to restore H.F. du Pont’s garden design masterpiece. Following his key design principles – including seamless transition from one area of the garden to another – we have been restoring one section at a time. 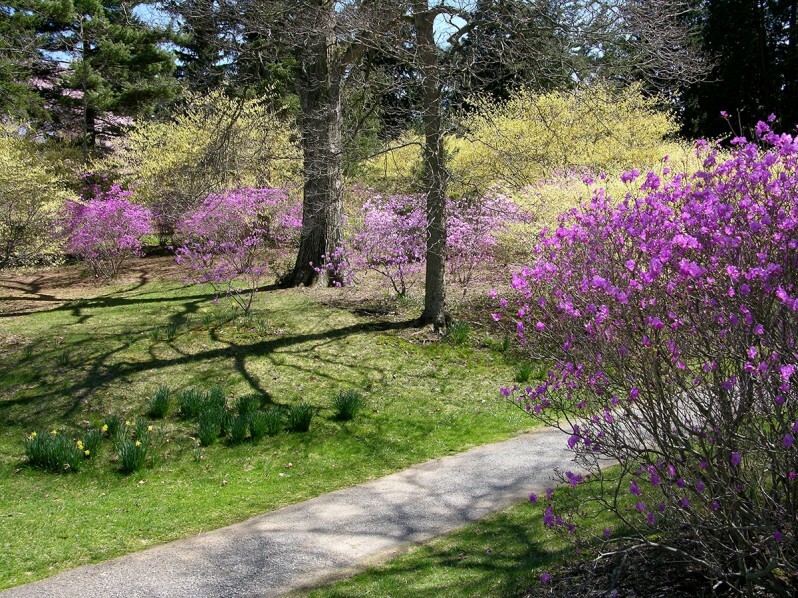 In one of H.F. du Pont’s signature color combinations, on the Winterhazel Walk he planted various species of yellow-flowering winterhazel (Corylopsis) with masses of lavender Korean rhododendron (Rhododendron mucronulatum). 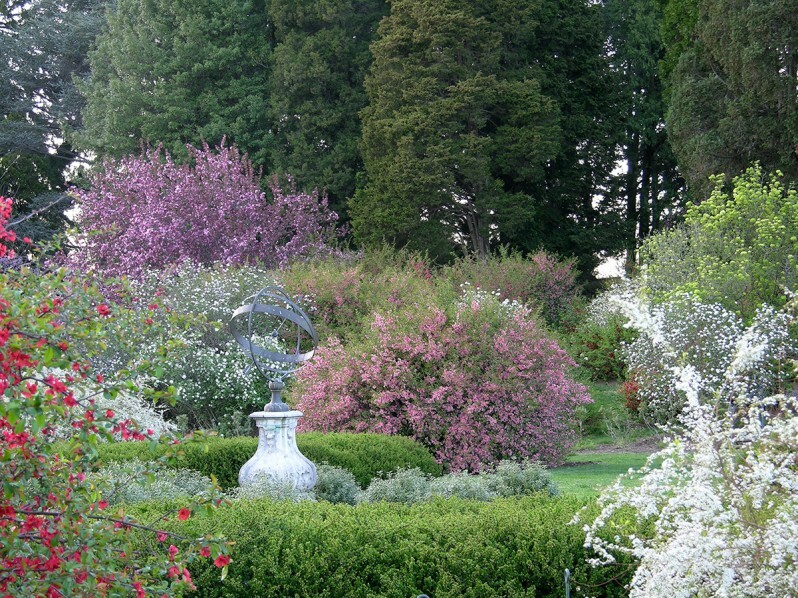 Formerly the family’s tennis court, the Sundial Garden was designed by landscape architect Marian Cruger Coffin in 1955. The view from the main house through the woods to the Pinetum (1914) is maintained by carefully managing the woodland canopy. 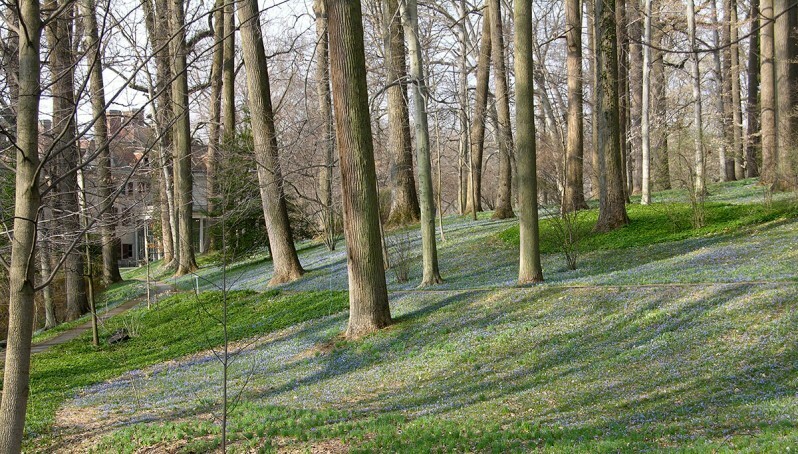 The March Bank (1902) features more than 2 million bulbs flowering in February through March. 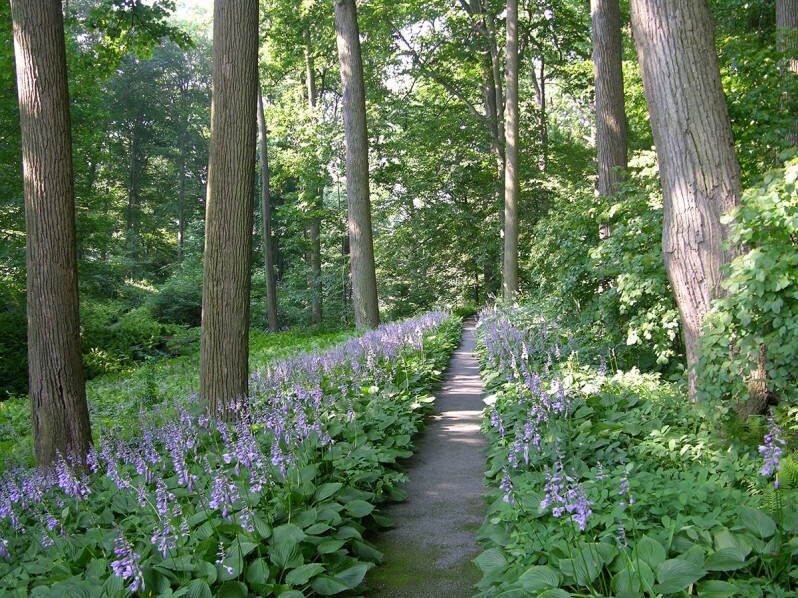 Huge sweeps of lavender hostas extend the flowering along the March Bank into early summer. 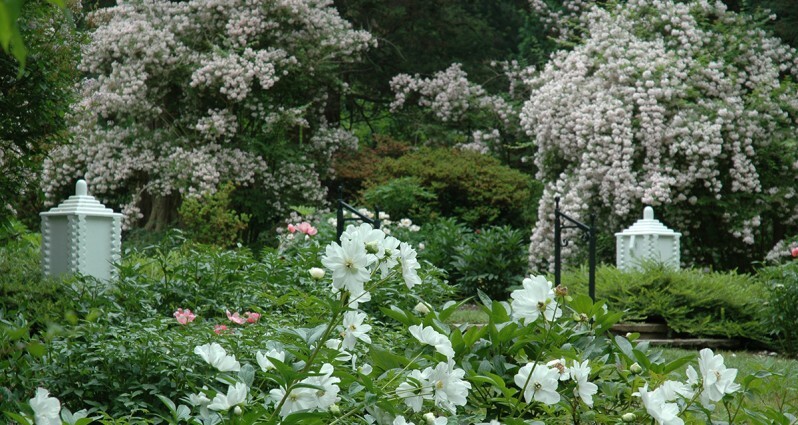 The Peony Garden was designed by Marian Coffin in 1929 as an iris garden, and H.F. du Pont adapted it in the 1940s as a showcase for peonies, reaching their peak of bloom in May. We removed a paved walkway from the center of the Peony Garden, restoring it to its original layout (you can see the newer turf running through the center of the lawn). 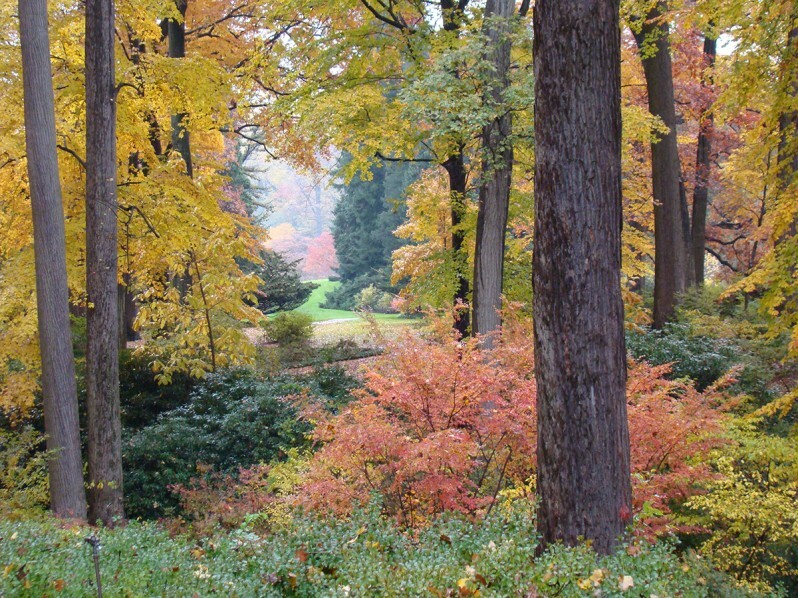 Many of our changes in the Winterthur Garden go unnoticed. 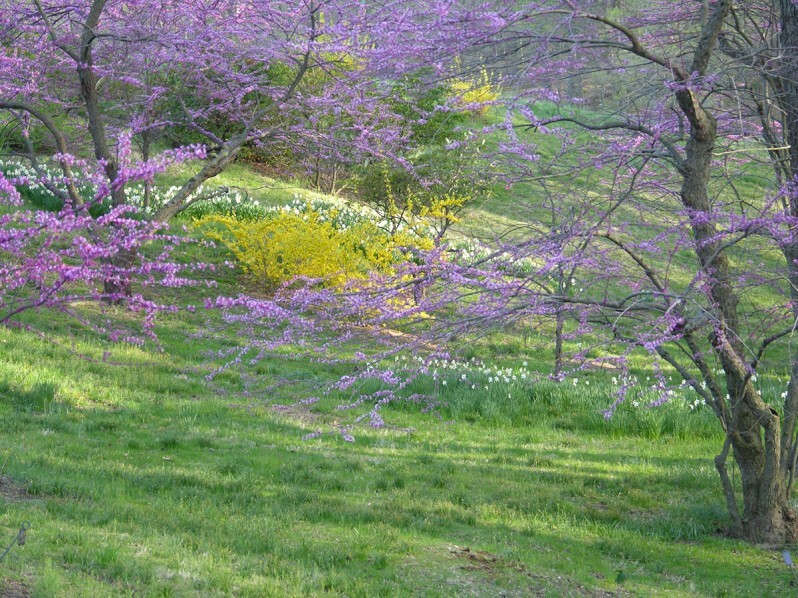 Lavender redbuds bloom with yellow forsythias between Sycamore Hill and the Quarry Garden. 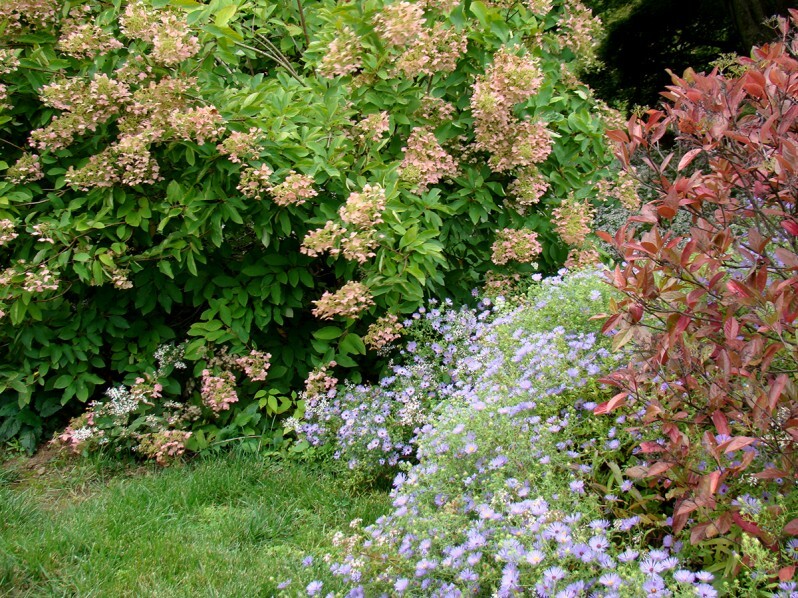 On Sycamore Hill we extended the blooming season into the fall with this combination inspired by H.F. du Pont’s color palette, including Aster ‘Raydon’s Favorite’, Hydrangea paniculata ‘Tardiva’, and chokeberry (Aronia arbutifolia). 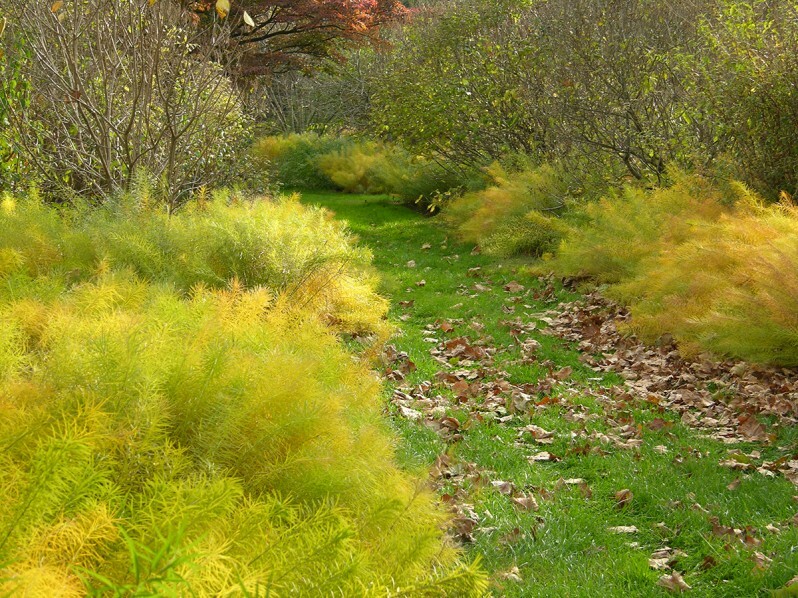 In the new design for autumn color on Sycamore Hill, large sweeps of blue star (Amsonia hubrictii) border some of the turf pathways. 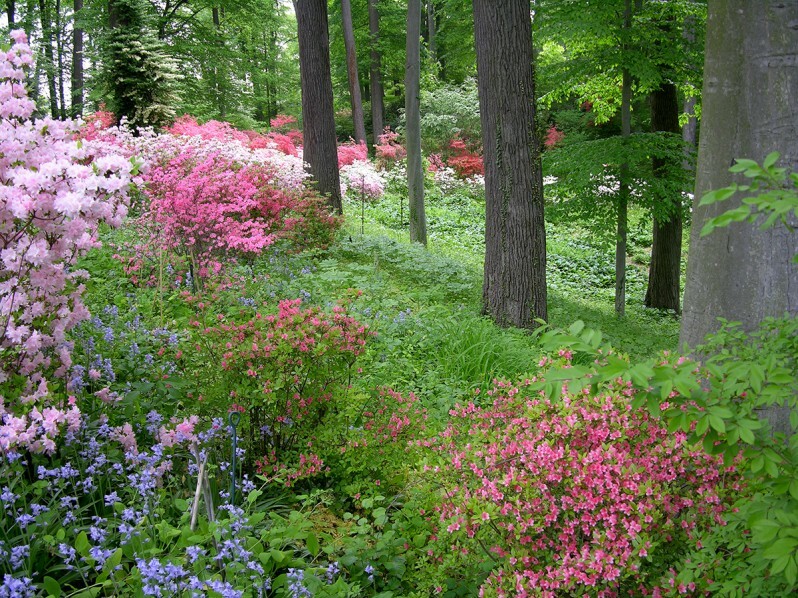 On Oak Hill H.F. du Pont drifts of colorful native and exotic azaleas. 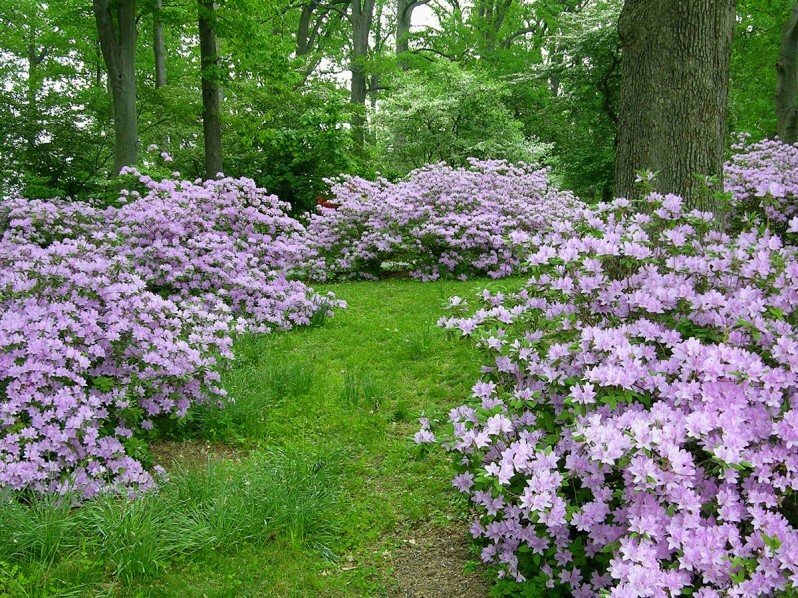 Rhododendron mucronatum ‘Winterthur’ is a lavender selection from a species that is typically white or pale pink. The Glade Garden is currently undergoing restoration. 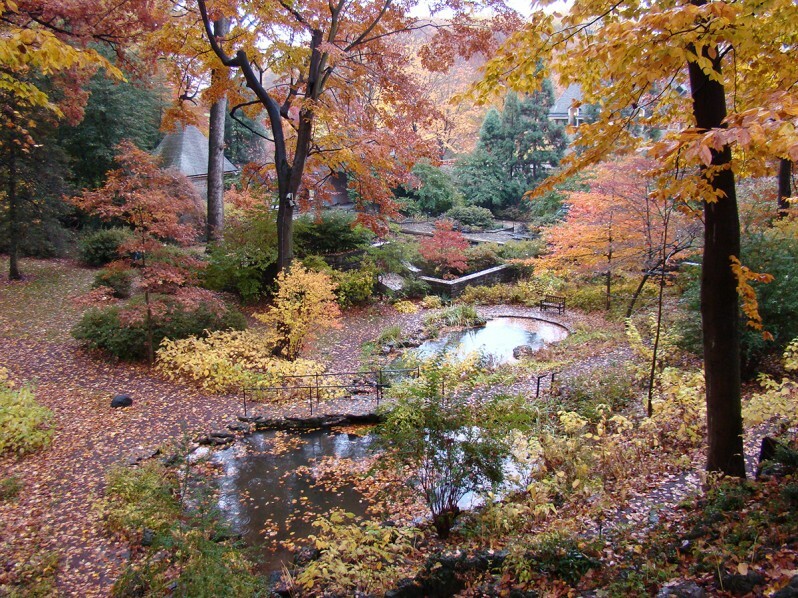 It was originally designed by Marian Coffin as a rustic rock garden, in the late 1920s. 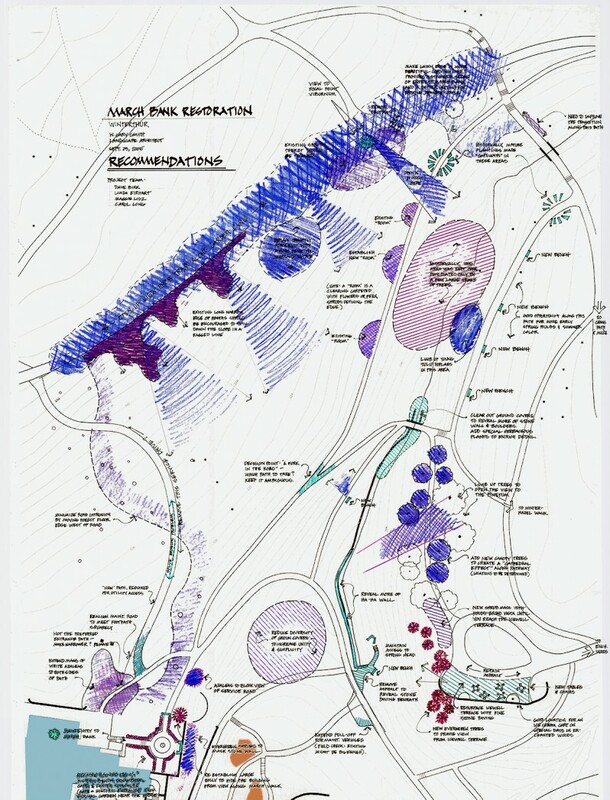 A key element in analyzing the existing conditions along the March Bank was mapping important views and vistas during the peak blooming season. 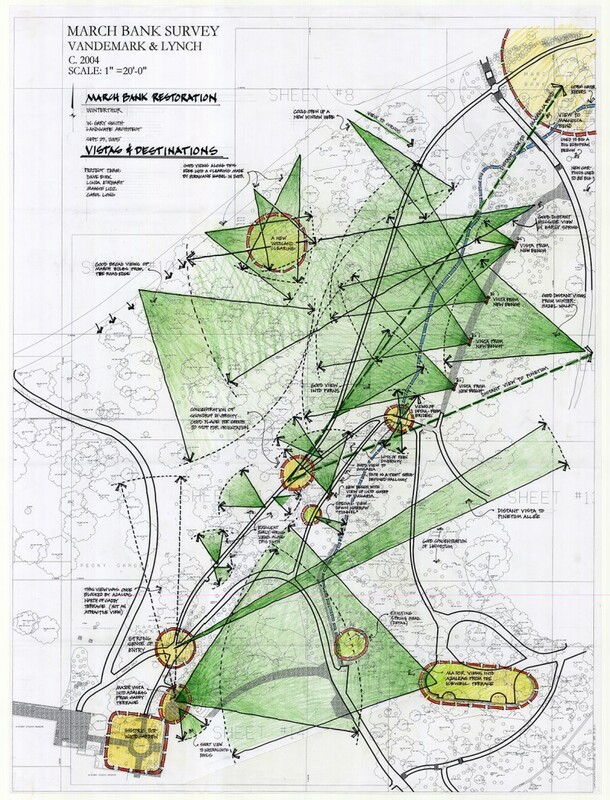 The recommendations for the March Bank included removing a visually intrusive service road, restoring views of ground covering bulbs and focal point flowering shrubs, and placing new benches at special vista points.